As featured in the Mail On Sunday, 11/11/18: The curse of Roald Dahl. 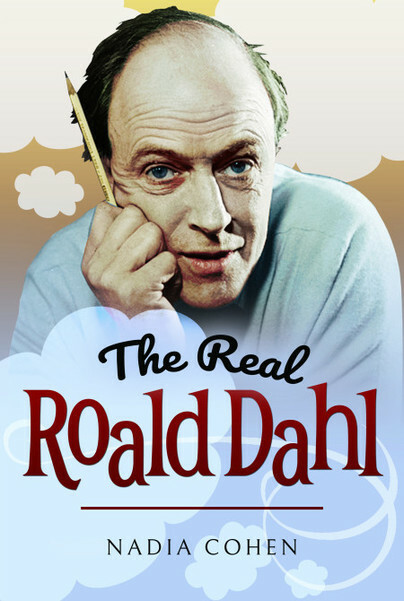 You'll be £11.99 closer to your next £10.00 credit when you purchase The Real Roald Dahl. What's this? Although his hilariously entertaining stories have touched the hearts of generations of children, there was much more to beloved author Roald Dahl than met the eye. His fascinating life began in Norway in 1916, and he became a highly rebellious teenager who delighted in defying authority before joining the RAF as a fighter pilot. But after his plane crashed in the African desert he was left with agonising injuries and unable to fly. He was dispatched to New York where, as a dashing young air attache, he enraptured societies greatest beauties and became friends with President Roosevelt. Roald soon found himself entangled with a highly complex network of British undercover operations. Eventually he grew tired of the secrecy of spying and retreated to the English countryside. He married twice and had five children, but his life was also affected by serious illness, tragedy and loss. From 1945 until his death in 1990, he lived in Buckinghamshire, where he wrote his most celebrated children’s books including Matilda, Charlie and the Chocolate Factory and Fantastic Mr Fox. One of the world’s best-loved children’s authors is showcased in this brilliant book by Nadia Cohen, who wrote the equally fascinating The Real Enid Blyton a couple of years ago. Fantastic stuff! According to this new biography, there was much more to bestselling children's author and former RAF fighter pilot Roald Dahl than met the eye. Nadia Cohen is an entertainment journalist who has worked at a number of national newspapers and magazines including Grazia and the Daily Mail. As a show-business correspondent she covered film festivals, premieres and award ceremonies around the world. Nadia was headhunted for the launch of a new American magazine, In Touch Weekly, and spent several years living and working in New York. She now lives in London and juggles family life with writing contemporary and historical biographies.